As a successful West Australian owned and operated business since 1954, Williams Electrical Service has always remained focussed and committed to the implementation of sustainable practices across the company, through continual improvement, innovation, and encouraging an open and engaging environment. Through a number of active and passive initiatives we have been able to give back to the community. Passive initiatives simply result from how we do business; we are also an active member of the local community through sponsorship and charitable donations. Williams Electrical Service has grown to be respected in the industry. We owe this to our team of professionals – who are our greatest asset. We encourage a high level of business ethic and customer service from our team and in return we work with them to develop their skills and further their careers, with a commitment to training and development for all staff ranging from those just entering the workforce to those with decades of experience. We provide comprehensive professional development opportunities for our team ensuring they are fully trained with the appropriate qualifications and licesnses to handle all tasks. 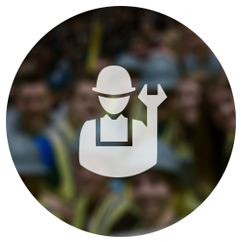 We also actively promote the development of apprentices and trades assistants through first class training programs and a highly regarded apprenticeship program ensuring that those who work for Williams Electrical Service are committed to being the best they can be. This commitment to people development has promoted a culture which enables Williams Electrical Service to constantly grow and meet the demands of the West Australian market. We make sure our people and their work environments are as safe as possible. For over six decades, we’ve fostered a safety culture of leadership and commitment to continual improvement. It is a culture that not only helps us to keep our people safe, but one that promotes respect, and adds value and improvement to our safety and performance outcomes. Williams Electrical Service has a strong history of taking responsibility for the health and safety of our employees, clients and the wider community. Managing critical risk is a key strategic initiative and as part of our uncompromising commitment to safety we have developed a set of Golden Rules in relation to safety, which are applied across all aspects of our business. We also promote the adoption of green practices and implement energy efficient principles wherever possible. 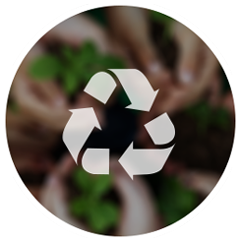 We encourage positive behaviours to recycle and reduce consumption of resources and have obtained a number of environmental certifications, plus we’ve made a commitment to the Fluorocycle Scheme and are an accredited Eco Smart Electrician. It’s all part of our going commitment and care. 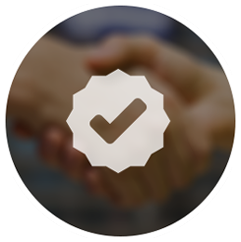 Williams Electrical Service aspires to provide the best and most responsive customer-focused and quality driven service. We actively seek and encourage feedback and recommendations from customers, suppliers, subcontractors and our staff to help improve our performance and ensure that the services provided remain of the highest quality. A key objective of Williams Electrical Service is a commitment to continuous improvement and this intense focus on quality extends to all areas of the business. The result ensures that our clients remain satisfied with both the finished product and ongoing maintenance. With a proud history, it is no surprise that Williams Electrical Service has become synonymous with high quality work, and unparalleled customer service.